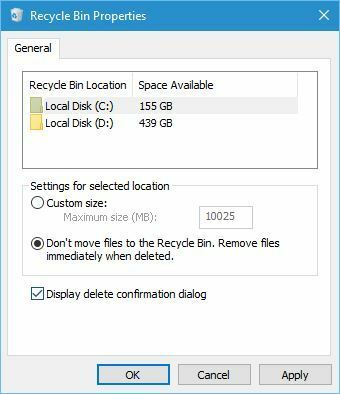 We answer: What is Recycle Bin in Windows 10 and how to use it? Home » News » We answer: What is Recycle Bin in Windows 10 and how to use it? 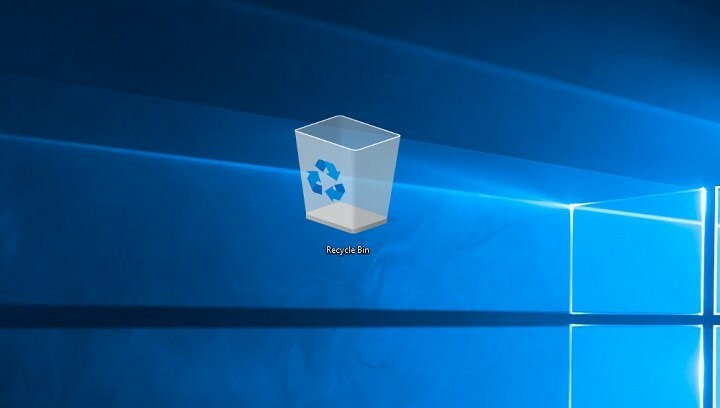 Recycle Bin has been a part of Windows since the earliest versions, and even though the look of Recycle Bin might have changed over the years, its functionality remained the same on Windows 10. Since Recycle Bin is a fundamental tool of Windows 10 and all other versions of Windows, we decided to make an in-depth analysis of this tool. What is Recycle Bin and how does it work on Windows 10? 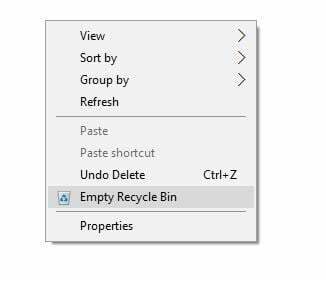 As previously mentioned, Recycle Bin isn’t a new feature of Windows 10, and it works the same as it did in previous versions of Windows. When you delete a certain file, the file itself isn’t actually deleted from your hard drive, instead it’s moved to your Recycle Bin, and even if you can’t use it while it’s located in Recycle Bin, you can easily restore it to the original location at any time. Locate the file you wish to remove and right click it. Press and hold Shift on your keyboard and choose Delete from the menu. You should see a window asking if you want to permanently remove this file or folder. Click Yes to permanently remove a file. Locate the file you wish to remove and right click it. Choose Delete from the menu. You should see the confirmation dialog, click Yes to permanently remove that specific file or folder. 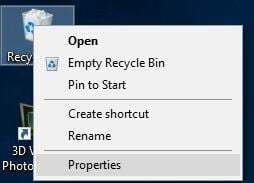 Right click Recycle Bin and choose Empty Recycle Bin. When the confirmation dialog appears click Yes. 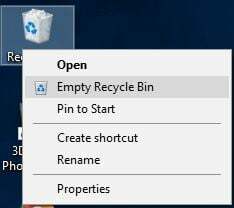 Optional: You can also delete all files simply by opening Recycle Bin, right clicking the empty space and choosing Empty Recycle Bin from the menu. Open Recycle Bin and locate the file you wish to restore. 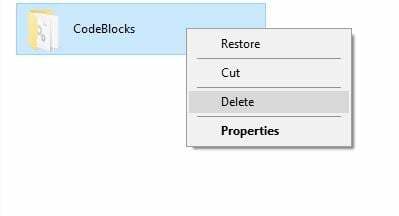 Right click the file and choose Restore from the menu. Optional: You can also select the file you wish to restore, click the Manage menu and choose Restore the selected items. 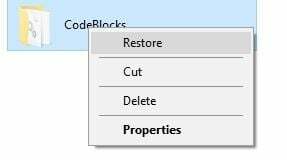 If you wish, you can also restore all the files from the Recycle Bin by selecting the Restore all items from the Manage menu. Right click Recycle Bin icon and click on Properties. 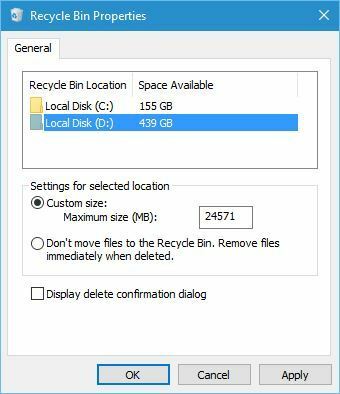 When Properties window opens, you can select how much space will Recycle Bin use from each partition by changing the Maximum size(MB) value. Select your hard drive partition and select Don’t move files to the Recycle Bin. Remove files immediately when deleted. Bear in mind that you can choose files from one partition to be permanently deleted, while files from a different partition can be set to move to Recycle Bin when you choose the Delete option. 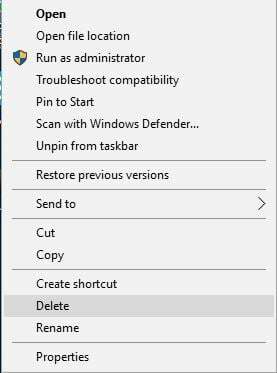 Notice: By default, Windows 10 doesn’t give you a confirmation message when you choose to delete a certain file or folder, so if you enable option to permanently delete files without moving them to Recycle Bin, you might accidentally remove important files. To prevent this from happening check the Display delete confirmation dialog option. 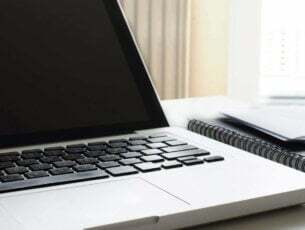 Since every file moved to the Recycle Bin is still taking space on your hard drive, it’s always a good idea to clean your Recycle Bin from time to time in order to save some space, and if you want to permanently delete a file from your PC, you can do it by following one of the several methods that we mentioned above. We also recommend you to download this tool to fix various PC problems, such as unwanted files, malware and hardware failure. It will also optimize your PC for maximum performance. 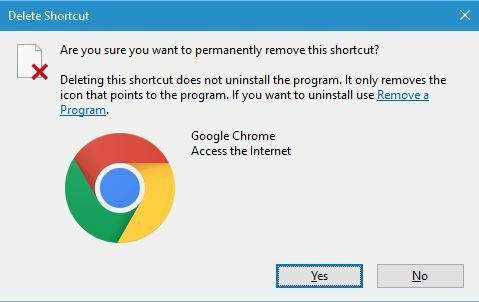 Recycle Bin is a key component of every Windows operating system, therefore it’s important that you know how to use it properly, and we hope that our guide thought you a thing or two about Recycle Bin.